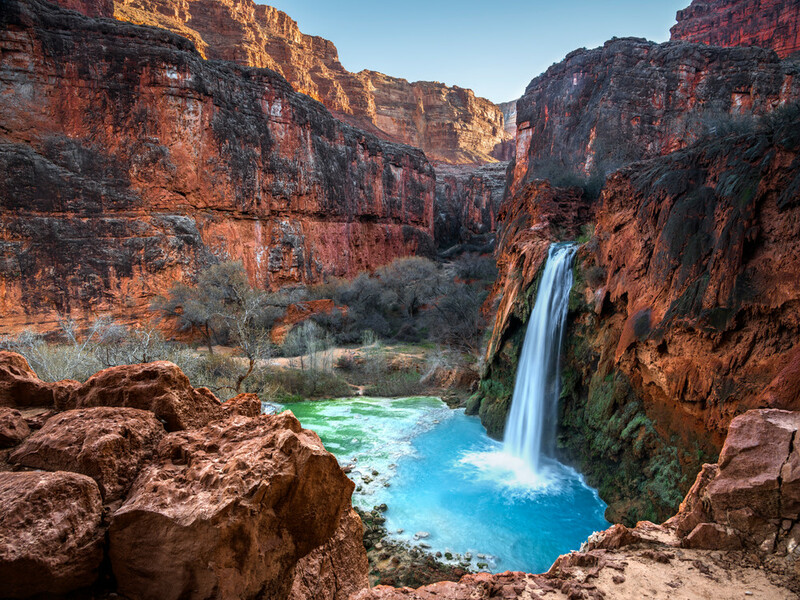 The only ways into Havasupai are by helicopter or an 8-mile hike into the village of Supai, followed by another 2 miles to the waterfalls. Once there it's an unbelievably beautiful site, with multiple waterfalls dropping into aqua-green pools. The surrounding red cliffs add the final contrasting touch to one of the most beautiful locations in the world.